No matter if you are 3 years old or 93, I truly believe Warmies are amazingly comforting and useful. If I could come up with one downside, it would be how difficult it is to choose one! Both of my girls now have a Warmies Cozy Plush and they are loved on the daily. The day we came home to find the giant labeled box on our freshly moved-in porch, the kids were so thrilled! 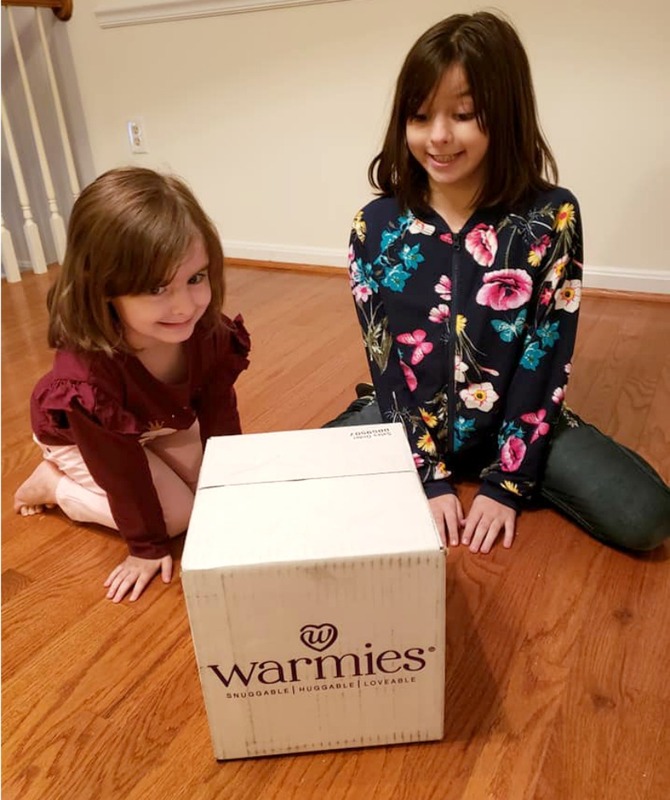 Upon opening it, I was surprised to find that the Warmies were much larger than I expected, which was a fantastic surprise. At that point, we had just gotten a new home and were still waiting for our household goods to arrive from Germany, so these loveys were just what my girls needed. 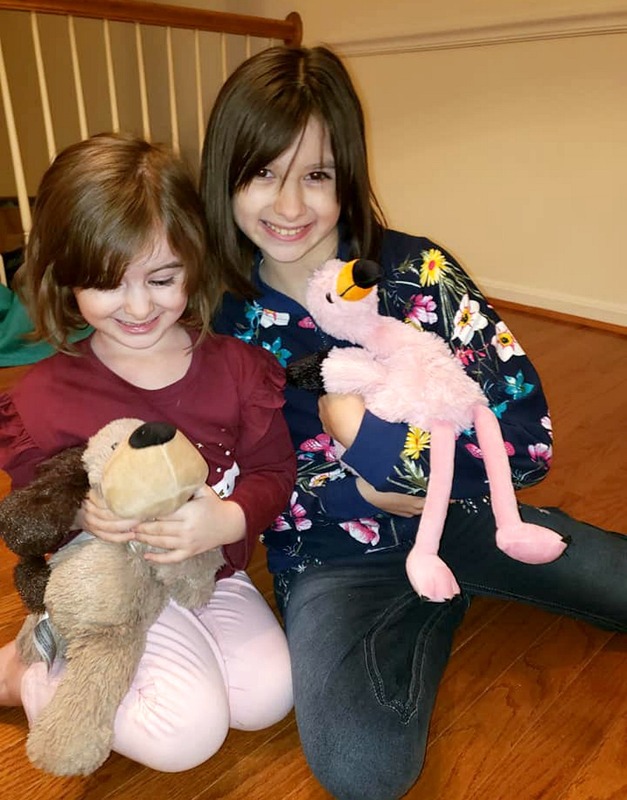 My oldest chose a Flamingo, and my youngest has a brown puppy. After they came to room temperature (They were freezing from being outside), we put them on a plate and microwaved them for 1 minute, each. Once heated, they were so snuggly and had a delightfully calming lavender scent. In addition to the calming scent and warmth, Warmies have a weighted body that creates a feeling much like snuggling with a warm live puppy or kitten. For the past few weeks, they have been heated up every single night before bed without fail. 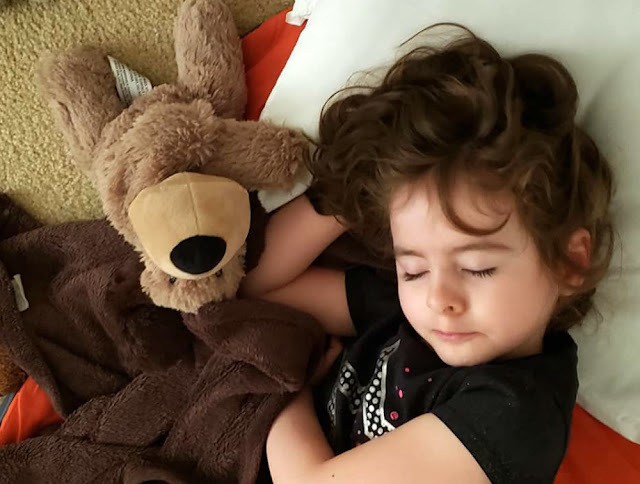 Additionally, more than once they have soothed a sad child with the simple phrase “Want me to heat up the Warmie?” The Warmies heat to a comfortable temperature that I have no fear of burning when held in one spot, like many other microwave heating pads. They don't stay hot for too long, maybe a solid 30-45 minutes, but that is more than enough time to soothe a child to sleep or help achy muscles. The quality of the doll is outstanding. No pilling of the fur or pulling of the seams. Heating repeatedly has not had any negative effects either. I already have a mental list of people I want to purchase one of these for, adult and child alike, myself included! Warmies Cozy Plush dolls, which are a product by Intelex, are $24.99 on their website. There is also a line of Cozy Plush Jr. to choose from which cost $11.99. Intelex also has numerous other therapeutic comfort items such as, slippers, blankets, wraps, eye masks to name a few. You can also purchase Warmies via Amazon. I highly recommend Warmies to anyone to whom you want to give the gift of comfort. We all need more of that, right?